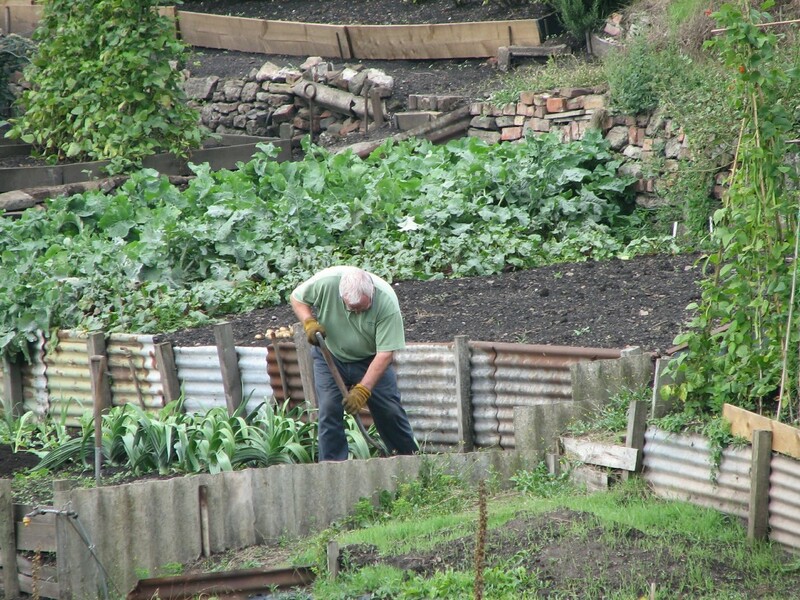 You have an allotment or vegetable plot, how much time do you spend weeding and how much growing? 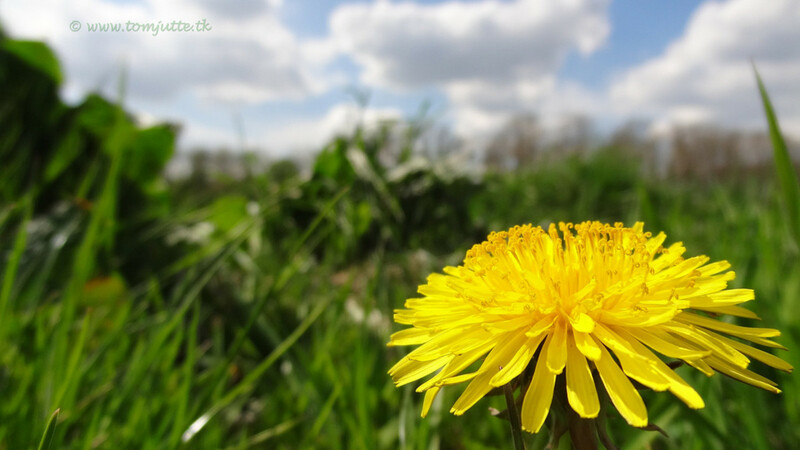 You only have an hour a week to tend your plot, but in the other hours, the weeds keep coming and coming. You give it a year, maybe two, then you give up. The weeds have won. How would you like to spend your one hour a week admiring a wall of beans, picking fresh strawberries, unearthing glowing potatoes, and pulling shining leeks? The answer is to cover up and start afresh. It’s simple, your soil is full of seeds and roots that you will never be able to get on top of, not even if you work all day every day. 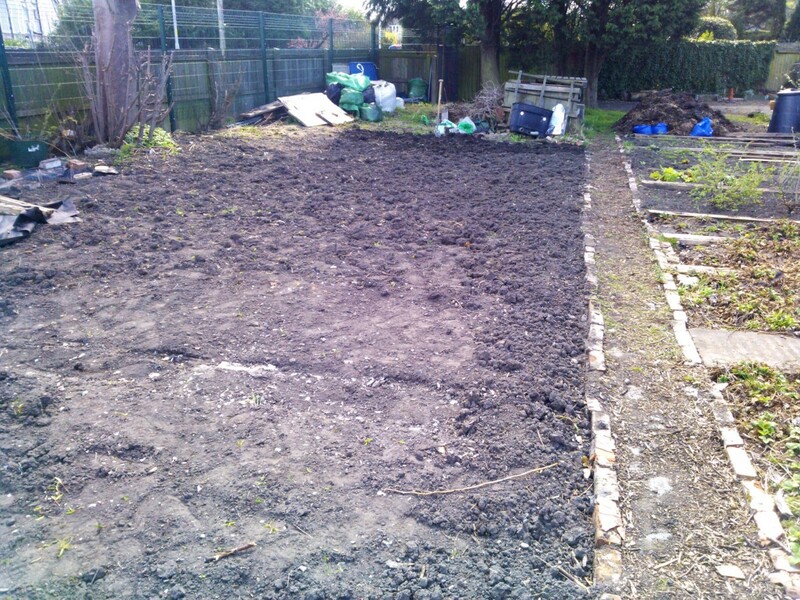 A layer of porous membrane will suppress the weeds and raised beds with fresh compost will give you a weed free planting space. 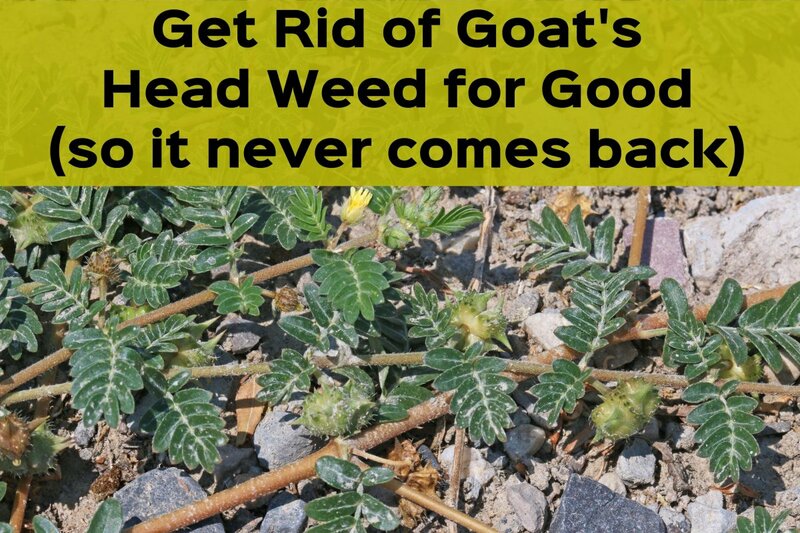 Before you say, ah yes but not for long, I am not naïve enough to think that this arrangement will permanently eradicate weeds forever. They will still try to grow up through your membrane and wind and bird distributed seeds will get into your beds. But if, like me, you inherited an old plot with horsetail, nettle, dock, couch grass and another hundred plants all growing faster than your veggies then drastic action is the only solution for the part time gardener. Weed control membrane is woven polypropylene and very tough. The membrane is porous. It lets water through but keeps the weeds down. Use heavy duty 100gsm membrane and it will last for years. It is UV stable and doesn't break down in strong sunlight. My plot is twenty-five feet (8metres) wide by forty feet long (15 metres). On one half I have strawberries, gooseberries, rhubarb and fruit trees, the other half was weeds, broken glass and stones. To cover the wild side I bought heavy duty 100g porous garden membrane off Amazon. This was £50 ($85) for 50 metres by 2 metres. The ground was very uneven with lots of broken glass and stones, so I dug it over and got rid of as much sharp material and big clumps of nettles as I could and raked it more or less level. That took about eight hours and was hard graft but worth it to get a reasonably good starting point. Then I laid out the membrane, two strips of 15 metres, and pegged it down. Some suppliers will provide plastic pegs with the membrane, if not you can buy them separately. I bought 100 6in pegs off Amazon for £7 ($11) and that was more than enough. They are like a big plastic nail with serrations to stop them coming out. We had some big gales this winter and they stayed put. You can cut the membrane easily with a craft knife or sharp penknife but I found a solid pair of kitchen scissors were the most comfortable and effective way to cut the sheet. Once you have cleared your space and laid the membrane, you can make some raised beds. 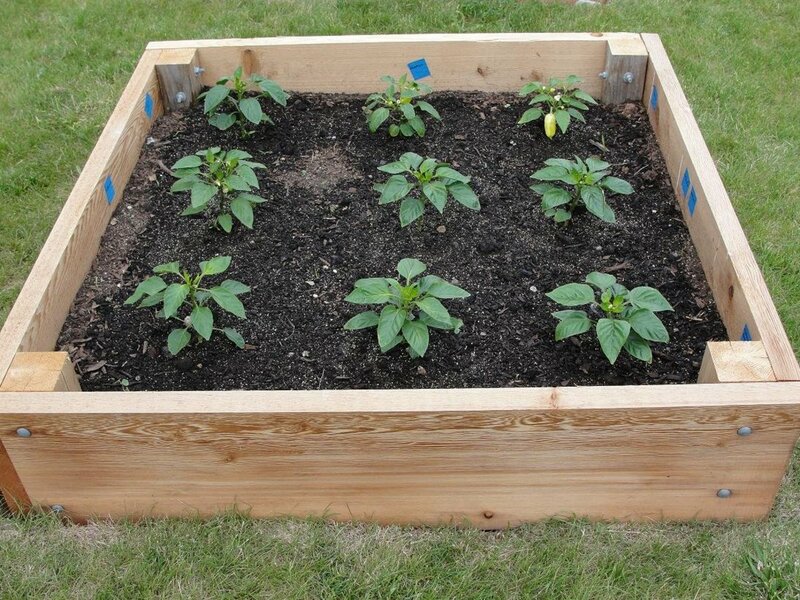 What kind of raised beds you have depends on your budget and your DIY abilities. I'm not afraid of a hammer, nails and saw, so I made my own. I used pre cut pine boards 6ft by 1ft by 1in (2m by 30cm by 2cm). You will need 6 boards to make one bed. You will also need 3 by 2in (6 by 4cm) lengths to make internal corner posts. See Costings below for how much it all cost. What you are doing is making a rectangular frame with 6ft sides and 3ft ends that will be 2ft deep. To start with, cut two 6ft lengths in half to give you 4 ends. Then cut four 2ft lengths of 3 by 2 for corner supports. Then lay one of the 6ft lengths flat on the ground and lift one end and put a corner support under it then nail the board to the support. Place the next 6ft length against the first and nail to the corner supports. Now you have one side of your bed. Repeat the above for the second side. 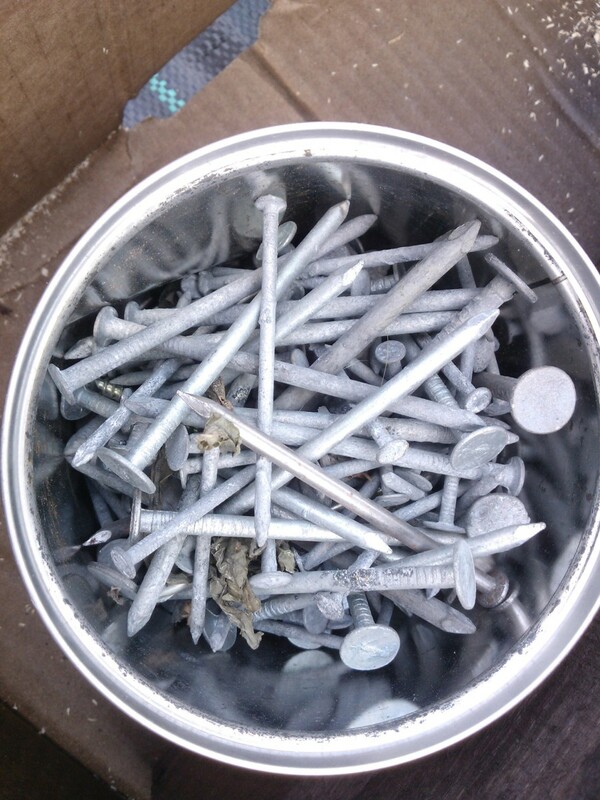 I used 1½ inch flat head galvanised nails that I picked up at a car boot sale. You don't have to use galvanised nails, any will do. Lift one of the sides onto its edge and offer up the end to the corner support and nail it on. It helps if you do this on level ground so you can keep everything square. Now offer up the other side to the end piece and nail it on. You will now have three walls of your bed , which will stand on its own. Nail on the other (lower) end to complete the rectangle, and add the upper ends to complete the frame. You can now step into the frame and pick it up carefully by the sides and place it in position on your membrane. Treat it with respect as this construction method is quick and dirty and the corners of the bed are not braced, so it will wobble a bit, but that's okay because it will all firm up once the soil is in. Paint timber with wood preservative after cutting to length. Make sure to paint the cut ends. Nail timber on a hard surface or put a brick under the piece you are nailing. 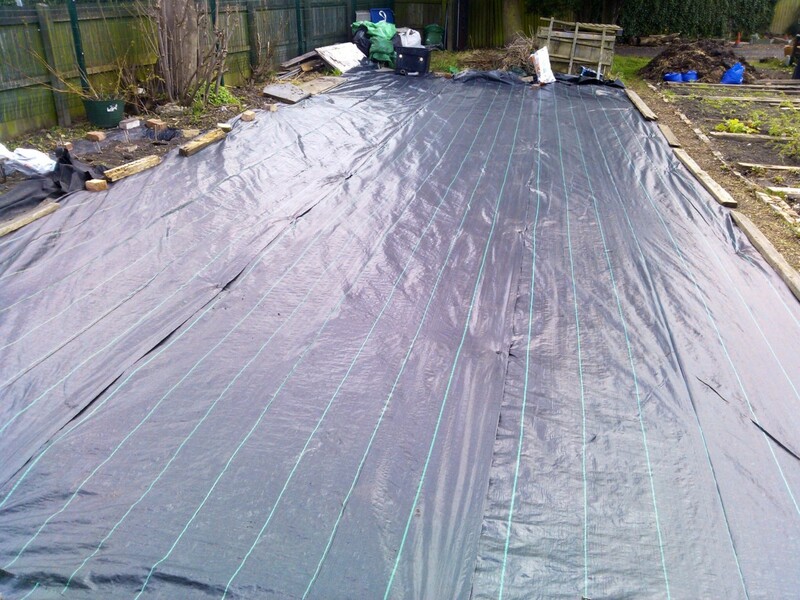 Line beds with 100g garden membrane to keep soil off the wood, stop soil leakage, prevent weeds getting in from below. Nails are cheaper and faster than screws. 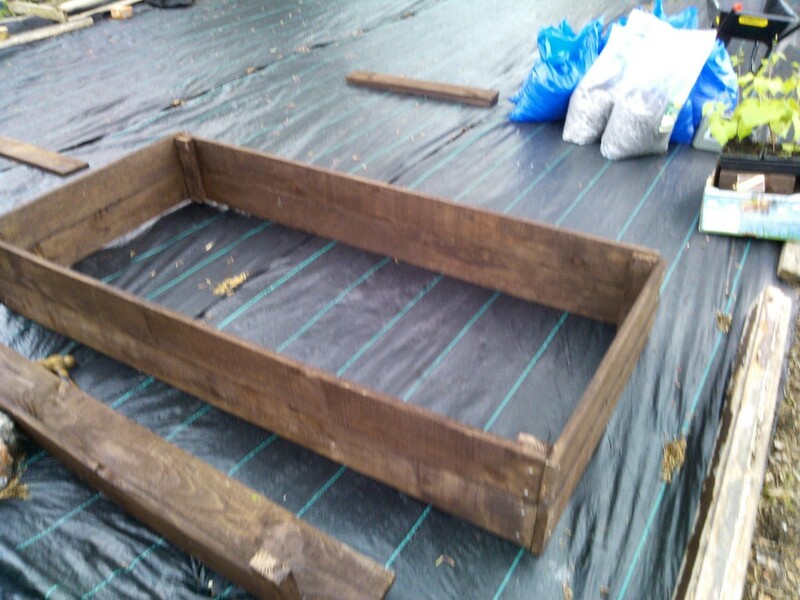 The builders bags your compost comes in make great mini raised beds for seedlings. A wheelbarrow makes it easy to move compost. Don't buy the most expensive compost, get a basic compost or topsoil and add your own manure/organic matter. It's cheaper and better. I had the option of buying pre-treated boards and if you are cash rich and time poor this is a good option. I bought the cheaper untreated boards and gave them a coat of wood preservative which cost £5 ($8) for 5 litres. You need to preserve the planks or they won't last more than a couple of seasons. It's also easier to paint them up after you have cut all the lengths and before you nail them together. My boards came from a recycling yard. Look for places you can get second hand timber. Skips and throw aways are good. Pallets are okay but will need more work to fashion into a useable bed. Scaffold boards are brilliant but like gold dust. Railway sleepers are good if you want your raised beds to last for ten generations. You don't have to use 6ft lengths. Shorter is good and may be more transportable. I used galvanised nails because I found a big tin of them cheap at a car boot sale, but you can buy regular nails by the pound and they at still cheap. The length of nail is determined by the width of your boards, so get boards first, nails second. 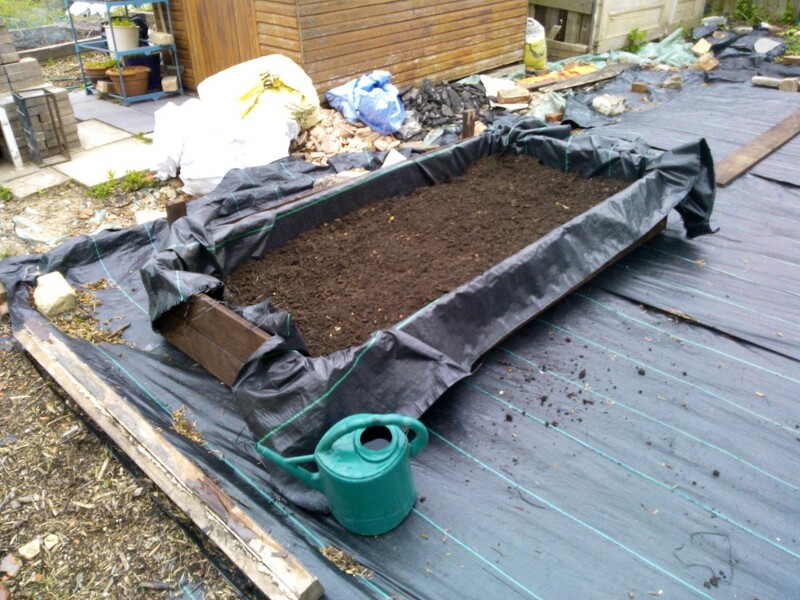 You could just fill the bed with compost at this point, but as an added protection against any determined weeds coming up from below, and to keep all the compost secure inside the bed, I added a lining of membrane. I'm not the best at hospital corners, but if you lay a length of 2 metre wide 100g garden membrane over the bed and tack down one end to the top of the end board, you can tuck the membrane down into the bed and then trim it off once it's all bedded down. Fix it by tacking the the edge to the top of the bed boards. It helps if you fold over the edge before you tack it to secure the membrane through a double layer. I used ¼inch galvanised roofing tacks that I had left over from repairing a shed roof. A staple gun would also do a good job and save your thumbs from the revenge of the hammer. Filling the raised beds with compost. The whole point of this exercise is to have a labour saving vegetable plot that is weed free and can be maintained on an hour a week. So now is not the time to skimp on compost to fill the beds. I made the mistake of using free compost from a recycling yard. but it was full of stones and my runner beans didn't grow well in it. I also augmented it with compost that had been collected in a communal bin at the allotment. That was another mistake as it had loads of weeds lurking in it just waiting to be unleashed on a virgin bed. If you want weed free raised beds then you have to bite the bullet and buy your compost. Prices vary from £30 ($50) per tonne to nearly £100 ($166) per tonne. The cheaper end will be mostly topsoil and the higher end will be specialist mixes of soil and compost. If you are on a tight budget, like me, then go for the cheaper end and add your own organic material. I can get a tractor load of farmyard manure for £25 ($42) which is probably about 2 tonnes and enough for at least six raised beds with enough left over to mulch your fruit bushes. If it's fresh then you need to leave it for at least six months covered with a tarp. Bought in compost comes in 1 cubic metre (builders) bags, which is about 1 tonne. If you have a plot that isn't accessible to the trucks which deliver these bags then you will have to have them delivered somewhere where you can barrow the compost to your plot, which is hard work but ultimately worth the effort. A spin off from this is that you can use the bags as mini raised beds. You can fold down the sides to 12in high and they will self support. Handy to use as a seed bed or for spring onions or radishes or some other small crop. The black (or green) membrane doesn't look too attractive so for the finished look you can cover with bark chips. This has the double bonus of deterring slugs and snails. Again you can get them free, we get an occasional delivery from a contractor who gets to dump excess chips. Alternatively you can pay for them. A tonne bag will come in at about £40 ($66) and will cover the spaces between the beds in a 20 by 4 metre area. Okay, so making your vegetable plot weed free is going to cost you money and time. But you will get this back with interest. The time you save not having to weed can be spent on growing, maintaining and harvesting more crops. And not just more produce but better quality vegetables and fruit. You get a better yield because you get less damage from pests and disease. 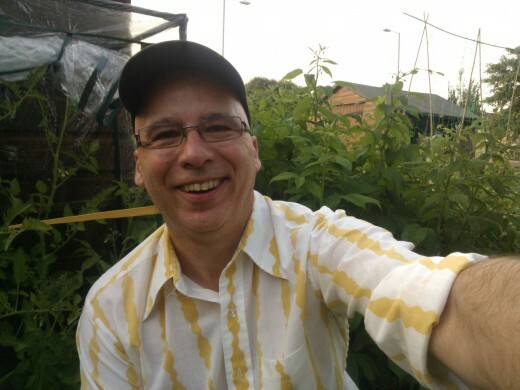 If you only have limited time to spend on your allotment then you want to spend it producing produce and not fighting a losing battle with weeds and pests. I'm looking to depreciate the cost over 10 years. If you charge yourself an hourly rate and multiply the hours per year spent weeding then it looks cheap. Especially when you put a lot of hours in clearing ground, buying seeds/plants only to have half a crop lost to pests and poor yields because of competition from weeds, then there really is no alternative. Many of my fellow plot holders are considering the membrane and raised bed route, I hope you will give it some thought too. handymanbill thanks for taking the time to read. This is the best time of year to do this kind of work. Good point I would have to have a real close up picture to see the weave. Bobtyndall the plastic membrane is porous so the the water doesn't collect. 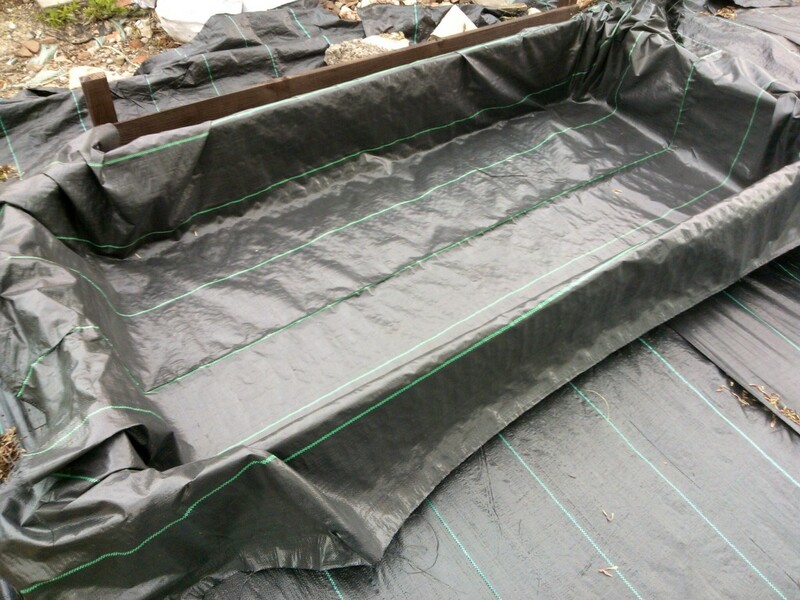 I line the beds with the membrane to stop the compost from leaching out and it adds an extra layer of defence to any weeds trying to get in from below. Checkyourvibe thanks for reading and I hope it's helped to give you a start. Ladyguitarpicker I think the warm weather is encouraging some new weeds. Now am inspired to start my own project, thanks for such great information! One thing I saw was that there is no drainage in the beds. You have the plastic film running right around. Is this not a problem? Very nicely done. It reminds me , I have to go out and water my garden. Hi, the part about not having to weed caught my eye. 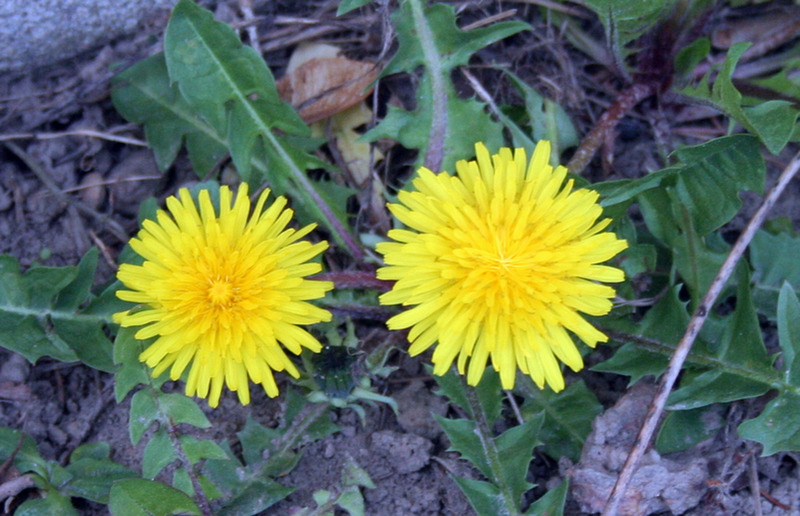 This has been the worst year I have ever seen for strange weeds. Nice hub, thanks. areenatejani and Mick, thanks for reading, hope you enjoyed it. mySuccess8 and Stuff4kids - many thanks for reading, I appreciate your comments. 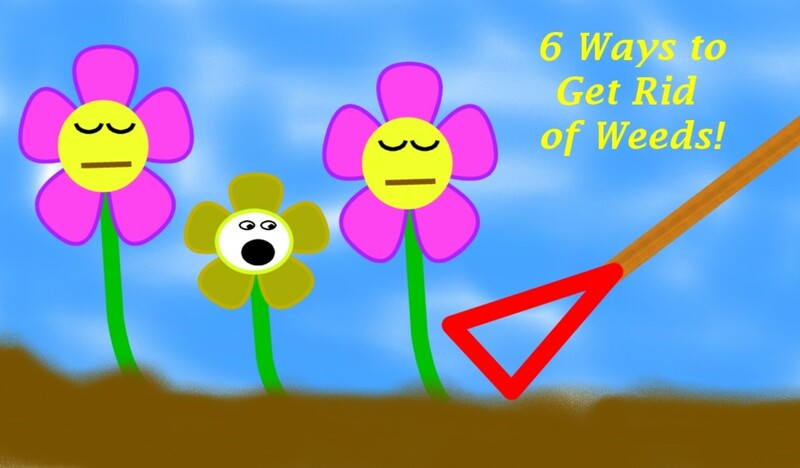 The need for regular clearing of weeds in garden and vegetable plots is really time-consuming and gets worse as the plots become older, as you have rightly emphasized. You have resolved this issue well, and I like the use of the weed membrane which you have introduced. There is additional initial costs involved, but the long-term benefits outweigh this, especially when the vegetable plot now looks so neat and clean. Congrats on the HotD, which gave a very clear DIY explanation. Not sure how the copper tape works, must be like us sticking our tongue on a battery! That's really helpful. Yes, I have used beer traps but I have to confess that cleaning them out made me feel a bit squeamish! Never heard of the copper tape - how does that work? I'll chalk up most of this year's efforts to experience and get this sorted out for next Spring. I think this is a great hub and I've recommended it to Christy as a future HoTD. It's so difficult to stop the slugs and snails organically. I've found that sunken beer traps work up to a point - you can cut the bottoms off plastic bottles and put a couple of inches of beer in - they love that! You can also put copper tape round the edges of the bed which wards them off. You still get caterpillars and the like but having a raised bed makes it easier to install nets. Raised beds do cost money which is an allotment counter cultural thing but I think you get your money back with time saved doing maintenance and increased productivity. Go for it, most fruit freezes well and will keep over a year. You can use it to make jam and chutney at your leisure. Beans and peas blanch and again, you'll be having them at Christmas and beyond. Onions and spuds store well in the dry and dark. Soft fruit are one of the easiest and lowest maintenance crops. Strawbs, rasps, gooseberries, red currants, black currants, rhubarb - all a doddle. Best veg are onions, runner beans, french beans and spuds. If you have a sunny corner out of the breeze then Toms can do well without a cover. Yes, the productivity results sound amazing - and that's the point of growing veg after all. You've already answered my next question which was about storage. I guess blanching and deep freezing is the way to go. I just got an allotment recently and I'm on a steep learning curve. I lost a lot of food to slugs and bugs (trying to be organic) but I also just planted seeds straight into the ground. I'm seriously thinking of using your system - getting it set up over winter, ready for next spring. Hi Stuff4kids - thanks for taking the time to read and comment. You are right it does waste space and there is a school of gardener who wants to use every square inch. But the plot produces more than I can use when it's only running at 75% capacity (two freezers full of fruit and veg!). 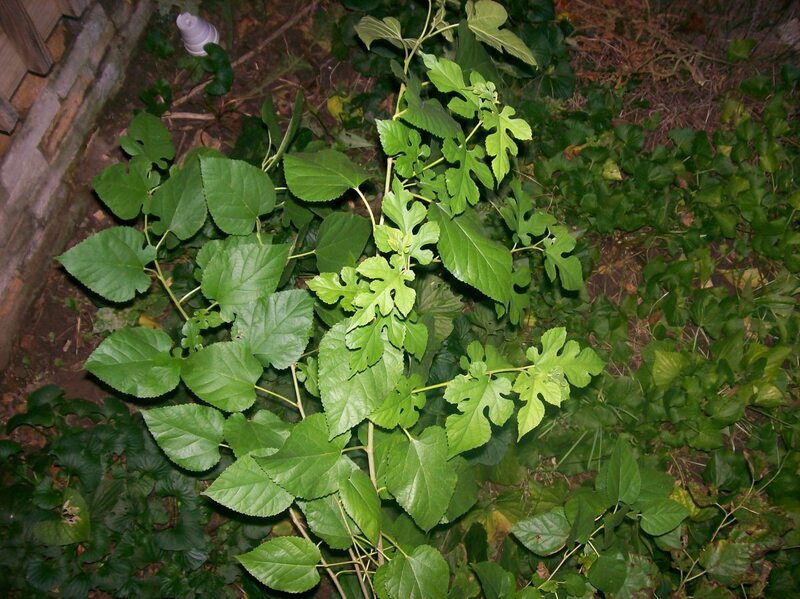 I found that the weeds used to reduce output by smothering crops and harbouring pests. So although I have less space cultivated I actually produce more. I've also found that even though you start with clean compost, the weeds still get in from airborn seeds, but having small cultivated areas makes it easier to weed them out before they can get established. My stepdaughter grows a lot of veg in containers as she only has a small back yard and it works really well. 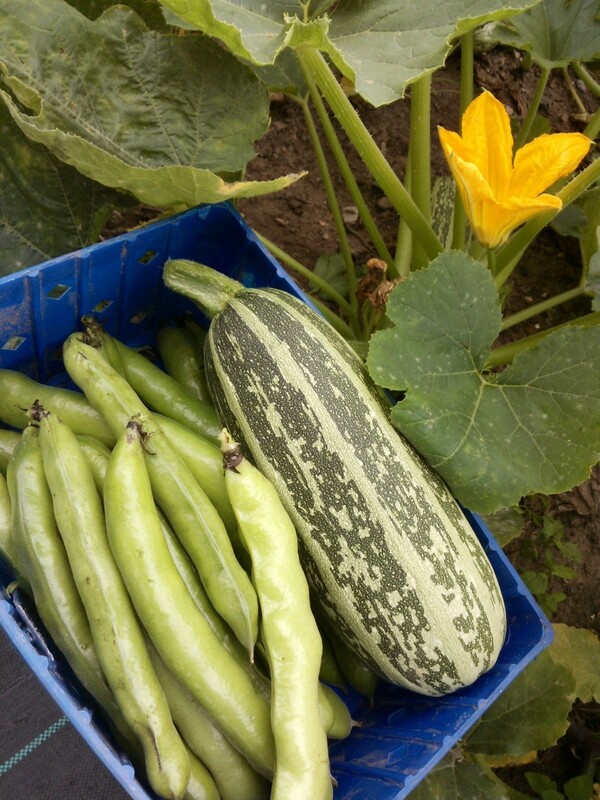 I grow runner beans in planters in my back yard too and they are amazingly prolific. They do dry out fast though and you have to feed them more. Fabulous, detailed, really useful article - and a great idea! My only question about this system is, doesn't it waste the actual land on the allotment? I mean , in the sense that all that soil is just covered over and then you buy in compost. But I suppose, as you say, that's the only way to be sure it's weed free. The coolest thing about this is that you could use this method to grow vegetables just about anywhere - even adapting it for window boxes or a paved yard, I guess. I have been thinking about doing something like this. Great hub voted up and shared. Yeah I had used carpets initially but then the Council banned them because of the chemical thing. The bark also stops the membrane from degrading in the sun, as some types do. Great hub, definitely one for those of us whose time working in the garden is limited but having far too many others things which need attention. The additional of bark placed over the membrane certainly improves the aesthetic appeal and makes the garden almost weed free. I must admit I have seen one garden where used luxury carpets were used for the same purpose. I do understand from speaking to more knowledgeable folk that it is possible that unwanted chemicals could leak from the carpets into the ground! I did kind of like the idea that they had found a use for their tired old carpets without first resorting to putting them straight into landfill. DeborahNeyens - even the membrane doesn't stop the weeds completely, so perhaps 'weed free' is a bit of a misnomer, but it does reduce them to a point where it's easy to pop them out when they appear. I had a plot that was massively overgrown with them to the point where within a week they would suffocate your crops and provide cover for slugs and snails. So this makes everything manageable now. We did all that but we still have weeds. This year though I took notice of what the bugs like to eat and left those weeds in the garden. We have a large variety of bugs that get onto our gardens and so each year it is a chore to keep them out. We also have deer that love to eat anything that we plant and that includes things that the books say they don't like. We live in a forest and that doesn't help either. Very good hub thought for those who live in the city or suburbs. Wow, what a thorough hub. Your garden looks great! 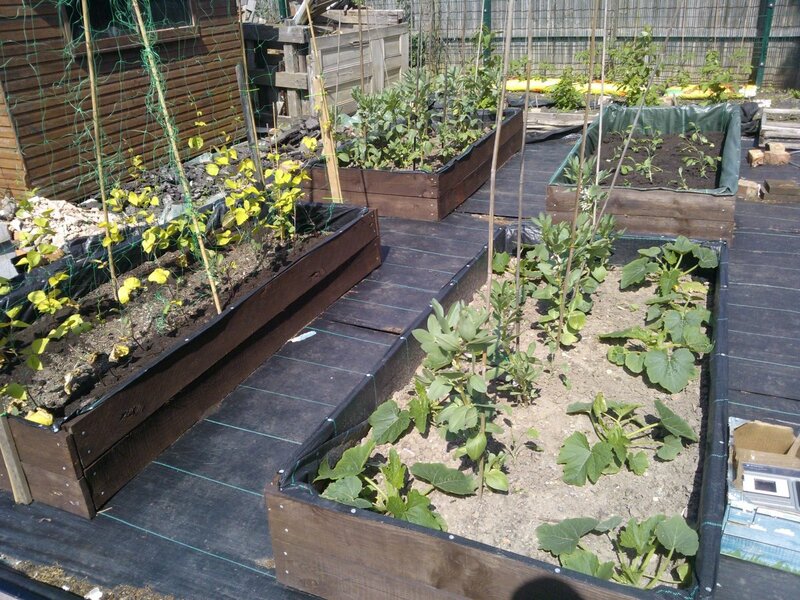 We have a similar system of raised beds, although we never used the membrane. Instead, we cut out the sod and used a thick layer of wood chips. But weeds still grow up through the wood chips so I still have to pull a few weeds from time to time! Great job with this. Many thanks Eiddwen, glad you found it interesting. A brilliant hub which I know will benefit many gardeners. Very interesting and voted up. Ha ha thanks Parrster, a trip to Oz would be brilliant. We only have slugs to battle though, not Redbacks and snakes! Seriously, great hub and enviable veggie photos.